We have gained immense expertise in offering a magnificent assortment of MIG Wire Plants to our deemed clients. Offered product line comprises Pay Off Stand, PRE Block Wet Wire Drawing Machine, Copper Coating Unit, BB Block, 15 kg Spooler, Winder Plants Unwinder Plants and others. These plants are manufactured with utmost precision by keeping pace with the international quality standards and norms. Moreover, these plants are CO2 based and find broad applications in diverse sectors of the industries. Patrons can therefore, avail this array from us in various sizes and other detailed specifications. 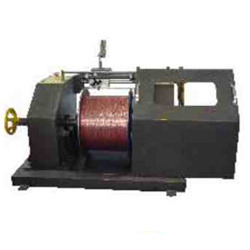 Our organization is a leading name of the market engaged in presenting Unwinder Machine. These products are manufactured in sync with the stringent quality parameters by making use of qualitative raw material that is obtained from the most credible vendors of the industry. Moreover, patrons can avail this range from us in customized facility as per their needs and demands. In addition to this, products can also be availed in diverse sizes and grades to fulfill their prerequisite demands. We hold immense expertise in presenting a fine range of Copper Coating Unit to the deemed patrons. Fabrication of these units is done by following stringent quality industry laid parameters by using updated and advanced technology and tools. Moreover, this range is equipped with FRP, pulleys that provides acid resistance and wear resistance as an essential feature. Besides, patrons can avail this range from us in various sizes, grades and other detailed specifications. With the aid of our technicians, we are able to bring forth an outstanding range of Wet Wire Drawing Machine to our valued patrons. These offered machines are fabricated by means of advanced technology and production tools in total Wet Wire Drawing Machine Conformity with the industry laid parameters. In addition to this, our team makes sure to use optimum grade raw material that is procured from the most accredited vendors of the industry for dispatch of an error free range. We hold paramount experience in offering our clients with a compact assortment of Winder Machine, which is fabricated by utilizing superior grade raw material along with heavy steel structure and shafts that takes load of up to 600 kg. These plants are manufactured in compliance with the industry laid parameters that makes us to dispatch an error free range at the patrons end within the stipulated time frame. 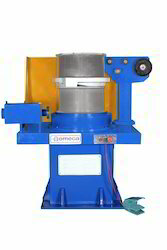 Backed by rich industry experience, we are presenting fine variety of 15 kg Spooler. The products offered by us are manufactured using supreme grade raw-material that is procured from the authentic vendors. These spoolers are easy to install and are widely known for diverse applications in different industries and sectors. Our products are therefore, offered in various sizes and grades as per the distinct needs and specifications of our precious clients. 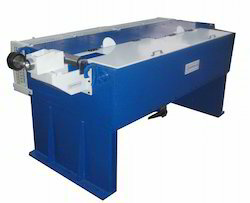 Imported Layer Winding Line can be Arranged. 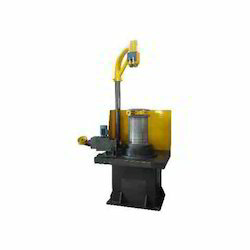 Our organization specializes in offering a compact range of BB Block that is fabricated with caliper type pneumatically operated disc that helps to stop the machine once the breakage occurs. Qualified team members make sure to use qualitative raw material that is obtained from the credited vendors of the market. In addition to this, these blocks are available with us in diverse customized options as per their needs and demands. Our organization caters to the needs and demands of the patrons in a well defined manner by offering a reliable range of Pre-Block to the respected clients. These blocks are fabricated as per the desired requirements of clients to avoid any inconvenience to their applications in various industries and sectors. from the customers. In addition to this, esteemed customers can avail from us this array in diverse grades and dimensions as per their needs and preferences.